I received an email from Ursack last month announcing that a petition had been created requesting that the latest Ursack (bear resistant bag) be approved for use in Yosemite National Park. “Bear canisters are a necessary item in your parks for good reason. Unfortunately, most bear canisters are bulky and weigh in at 2-3.5 pounds.To a lightweight person this is a significant portion of the total load, ie a 120 pounder in normal level of fitness should carry less than 24 pounds. This means the bear canister will take up 10% of their total load. Ursack 2014 S29 weighs 7oz and has been approved by the IGBC. It is accepted in many of the National Parks, including Denali. It has been extensively field tested and found to be effective against brown bears and other critters. 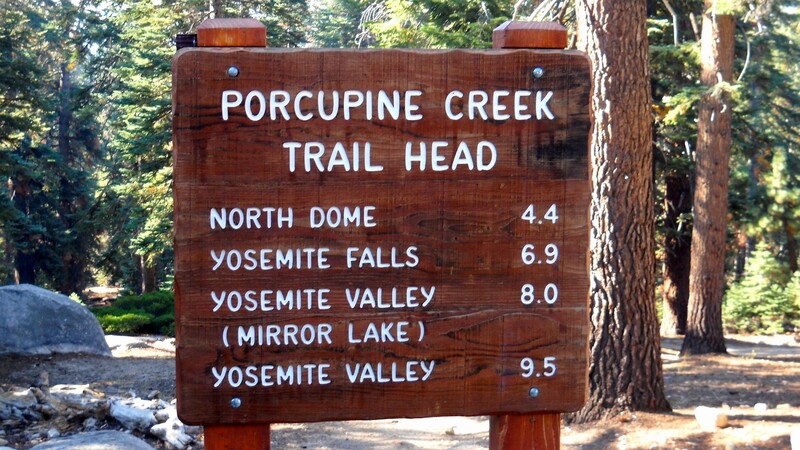 There are record requests for backpacking permits in your parks for next summer. Because of the movie “Wild” many of these hikers are neophytes who, frankly, will have enough trouble carrying their pack without an added 2 pounds. Add to that the difficulty of fitting many days of food and toiletries into a cannister and you get poor compliance. In my experience it’s easy to be bear safe with an Ursack, which should increase compliance. Please look at the new Ursack and give strong consideration to approving this item in time for summer 2015″. While I’m in favor of the change, the argument presented in the petition is (mostly) weak at best, which is disappointing. To make matters worse, the majority of the responses echo the weakest points from the summary. The purpose of bear canisters is to protect people and wildlife. Making the petition about the weight of a backpack is self-serving and hollow. It would be a shame if park officials denied (or ignored) the petition simply because it was poorly presented, but it would be an even bigger shame if the park approved it for those reasons. I signed the petition with the following response, which will hopefully (but doubtfully) stand out amongst the noise. “I don’t necessarily care for the reasoning that a bunch of people will go out and watch “Wild” and therefore rush into Yosemite with heavy backpacks. These aren’t the types of people who will even weigh their packs, so 7oz. vs. 2lb. means nothing in this context. I’ve backpacked all over the country (including the High Sierra) and have used canisters, bear bags, and the most recent Ursack. In my mind it boils down to whether or not it’s effective. Appeals to personal needs or the weight of a backpack shouldn’t matter. Offering a lighter weight option that doesn’t actually work just because “more people are likely to use it” isn’t a real solution. It’s easy to argue with ideas when you disagree with both the means and the end; it’s more difficult when you only disagree with the means. If I were a park ranger I wouldn’t approve the Ursack based on the argument presented in this petition. But I supposed government agencies have done things that have made less sense.